Alberta’s economy has suffered in recent years. A major factor in that suffering was of course world oil prices, which plummeted in 2014. And limited pipeline capacity, which fetches Canadian oil producers depressed prices for Canadian oil exacerbated Alberta’s economic woes. A number of metrics indicate that oil and gas investment in Alberta is in steep decline. According to a report by the Canadian Association of Petroleum Producers, capital investment in Canada’s oil and natural gas in 2017 was $45 billion, down 44 per cent compared to $81 billion in 2014 before oil prices collapsed. But many other factors affect investment in Alberta. The Fraser Institute’s Global Petroleum Survey measures investor perceptions about the hospitability of oil and gas jurisdictions for investment. Among respondents, Alberta’s fiscal terms are perceived as a deterrent to investment—the regime of lease payments, royalties, production taxes and gross revenue charges (but not corporate or personal taxes). Consider this. Fiscal terms were only considered a deterrent to investment by 14 per cent of survey respondents to survey in 2013 compared to 50 per cent in 2017. And respondents saying that Alberta’s fiscal terms were attractive to investment dropped by 22 per cent over that same period. With regard to Alberta taxation in general, there was a similar decline in perceived investment attractiveness from only 16 per cent of respondents registering deterrence due to taxes in 2013 compared to 52 per cent in 2017. It’s a similar situation with mining investment in Alberta. In 2013, regulatory uncertainty in Alberta was considered a deterrent by only 11 per cent of respondents to the Fraser Institute’s Annual Mining Survey compared to 25 per cent in 2017, more than double the percentage from four years before. Regulatory factors are also perceived as significant deterrents to investment. Respondents in both surveys point to uncertainty about environmental regulations (and their enforcement) and the cost of regulatory compliance. This was particularly true in the oil and gas sector, where 32 per cent of respondents said compliance costs were a deterrent to investment in 2013 compared to 70 per cent in 2017. So why is this happening? Why are investors souring on Alberta? There are many potential reasons for declining perceptions of investment attractiveness. But sequential injections of policy uncertainty almost certainly play a role. Since 2014, there have been a steady stream of announcements (both provincially and federally) that have shaken investor confidence in Alberta. 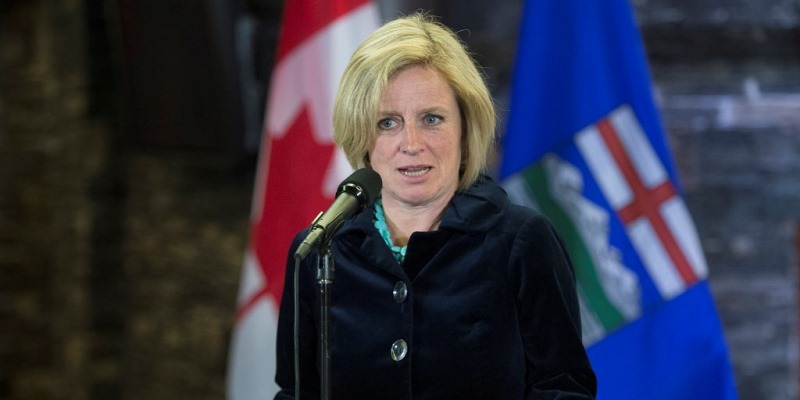 The Notley government broadened and raised the carbon tax, imposed a 100 megatonne cap on greenhouse gas emissions from the oilsands and enacted a far-reaching Climate Leadership Plan that reaches into virtually every sector of Alberta’s economy. Clearly, the Alberta government and the federal government should consider regulatory reforms like those that have been successfully implemented elsewhere including British Columbia in 2001, with a goal of reducing red tape by requiring that any new regulation must trigger the cutting of another. In New Brunswick, the government has a three-point plan to reform its regulatory system, reducing regulation by 20 per cent overall and instituting a rule that any new regulations must displace an obsolete regulation. And of course, Canada’s largest trading partner (and economic competitor) is leaping ahead on this front. In his first week in office, President Trump enacted an executive order requiring that for every new regulation issued, two must be eliminated. He also instituted what has been called a “regulator’s budget,” evaluating regulations to be replaced based on costs and benefits of new regulations. Alberta’s economy is reeling from a combination of lower oil and gas prices and a barrage of regulations and taxes on the natural resource sector. Easing the burden of carbon taxes and excessive regulation should be a top priority for the Notley government.